Krystyna Davenport Brown and Kristina Bachman, Office of the Vice President for Student Affairs, both received Stellar Speaker recognition several weeks after their presentation at the April Council for the Advancement and Support of Education (CASE) Region IV Conference in Austin. Susan Hochman, University Health Services, presented “Thinking Outside the Patient Satisfaction Box: Strategic Assessments to Support Quality, Patient-Centered Care and Communications” at the American College Health Association 2015 Annual Meeting in Boston. Hochman was appointed as a member at large to the board of directors for the association. Robert Reed, University Health Services, presented “HIPAA, FERPA and the Campus Health Center” at the American College Health Association 2015 Annual Meeting in Boston alongside colleagues from The University of Kansas and Texas A&M University. Jamie Shutter, University Health Services, presented “Administration Hot Topics: Are We Ready to Defend College Health,” at the American College Health Association 2015 Annual Meeting in Boston with Katrin Wesner of The University of North Carolina–Wilmington. Gale Stuart, Office of the Vice President for Student Affairs, presented “Engaging Our Campuses in Using Data: Successes and Lessons Learned” at the 2015 Association for Institutional Research (AIR) Forum in Denver, Colorado along with colleges from the University of Iowa, University of Minnesota and University of Virginia. The Center for Students in Recovery received a shout out in the White House’s Office of National Drug Control Policy newsletter for their part in making the UT System a national leader in collegiate recovery programs. 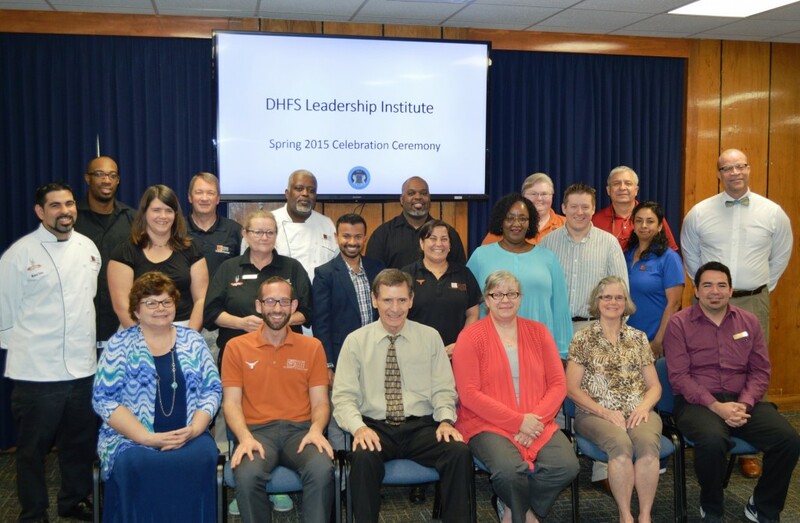 A total of 76 staff members from across the Division were honored during the 2015 President’s Staff Awards ceremony for their combined 1,305 years of service to The University of Texas at Austin. A full list of Division recipients is below.